Harsh Vardhan also slipped in the message about the clean environment in the mythological play and called it an privilege to participate in the Ramleela event. The nine days of Navratri is more than vrat (fasting) and solemn prayers. The festive season has begun and people are all excited to celebrate it with full fanfare. With colourful rangolis, new dresses to wear, it is also about family unions and dancing to the beats of dhol and folk songs. Along with all this, Ramleela forms an essential part of this festival. While it’s mostly performed by theatre artists and actors, people in Delhi were surprised to see a Union Minister participating in the play. 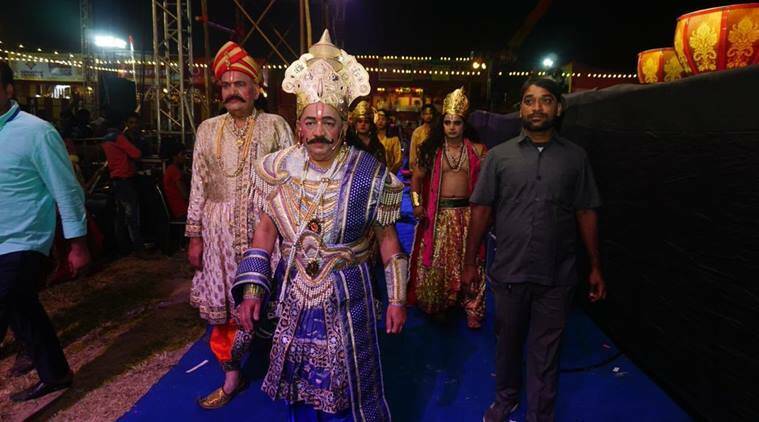 Gracing the stage in a regal avatar, Environment Minister Harsh Vardhan portrayed as King Janak of Mithila and donning a crown, moustache and long hair. The famous play to depict the life of Lord Ram was organised by the Luv Kush committee in the sprawling grounds of the Red Fort. Delivering dialogues fluently, the minister impressed all with his portrayal as Sita’s father. But adding some meaningful input to the mythological play, Harsh Vardhan slipped in the message about the clean environment, PTI reported. During the swayamvar scene, in a conversation with Lord Rama, his character said, “I know you wish to live in a natural environment,” stressing that if air remains clean and pure, it will lead to healthy life. 2 BBC's subtitle goof-up during Princess Eugenie's royal wedding leaves Twitterati in splits! 3 Children are trying to pronounce 'floccinaucinihilipilification' and even Shashi Tharoor is impressed!